Give new light to your home with gorgeous new windows, installed by our team at B.T. Window & Doors LLC. Whether you are looking for standard or custom-made, you’re sure to find the perfect window for any style, taste, and budget. 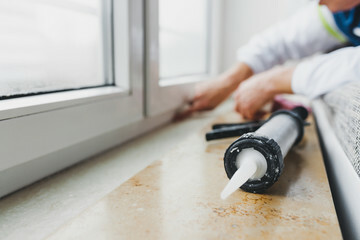 Proceeding with window replacements can have many benefits that make its initial cost bearings appealing to homeowners. Especially if you own a property that is considerably old, these improvements will indeed turn out to be investments. This point will be made most evident in your gas and electric bills, which are a reflection of your home’s thermal energy efficiency. The substantial decline in energy cost will be thanks to newly installed windows that seal off excess airways that waste away system generated air temperatures. Specifically, studies show that homes with insufficient glass windows squander nearly half of their existing HVAC machines’ functions. This means greater toll and eventual cost spent on utilities and maintenance. Where as putting in storm doors or altering single-pane windows with double-pane windows can keep indoor and outdoor air separated, thereby, helping to keep consistent home temperatures, whether it’s ice cold or steaming hot outside. In addition to monthly accrual of savings from reduced heating and cooling bills, if you are looking to eventually sell your property, changing windows can give you a favorable return on investment. New windows have their utilitarian advantages but they also show off much better curb appeal, which is crucial is home sales. Appearance matters in that homes with better aesthetics sell better. In this case, benefits can be felt and seen both inside and out, as newer windows improve noise reduction as well as safety. Today’s technology of double-pane and triple-pane glass windows prohibit ultraviolet rays from penetrating through the glass and damaging home interiors such as fabrics on various furnishings. Reduce your energy bills while adding beauty and value to your home with new doors and windows from our Master certified installers. We have 20 years of experience and learned the trade while working at the manufacturer’s plant. I had windows and doors installed in my home by B. T. Windows and Doors. From the initial contact to the final installation my interactions with Mr. Bilich was short of extraordinary. I found him to be extremely professional and knowledgeable in all aspects of the process. Mr. Bilich is precise in his measurements which result in a smooth installation. Mr. Bilich is a true master craftsman. I am extremely pleased with the end results and recommend B. T. Windows and Doors to all without hesitation.